Hand-made using metal leaf, the Adventure Playground artwork by Quintessa is expertly realised on high-quality stretched canvas. 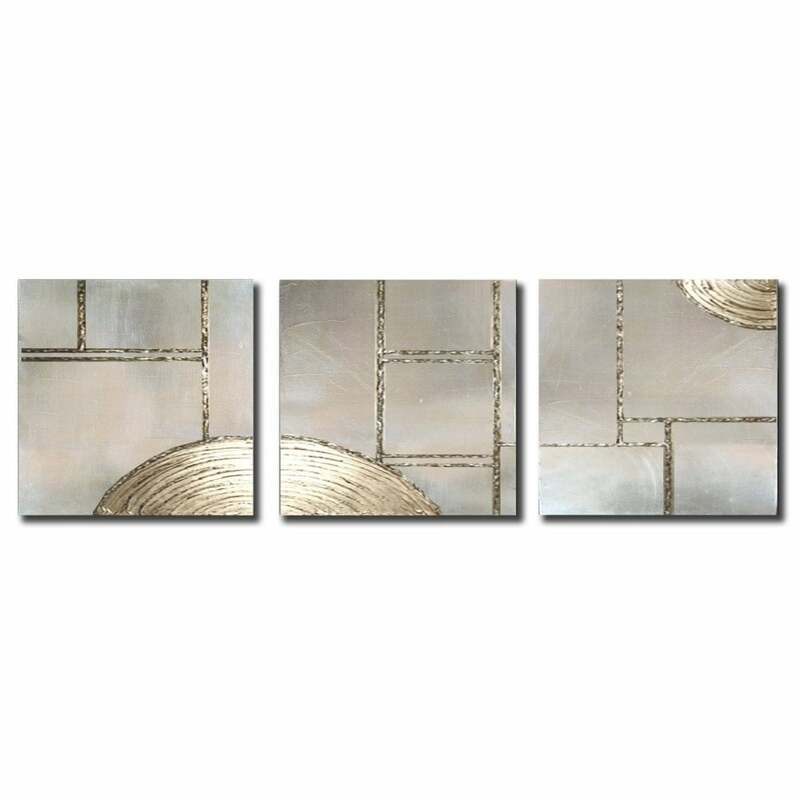 The textured design is crafted in a set of 3 to create a beautiful installation that will light up any home interior. Create a stunning focal point with this contemporary artwork. The panelled pattern and circular shapes resemble hopscotch designs and hot golden sand. Adventure Playground combines Art Deco glamour with stylish abstract strokes to create a stylish set of modern hand-painted art. Available in four exquisite finishes, choose from gold, bronze, silver or aqua. Make an enquiry for more information.